Back in the 50s and 60s, the radio airwaves were filled with the sound of young female recording stars like Connie Francis, Brenda Lee, Kay Starr, Toni Fisher, Shelley Fabares, Lesley Gore, Patsy Cline and Skeeter Davis. The wave of “girl singers” also included the many vocal groups like The Platters, The Angels, The Teddy Bears, The Ronettes, The Crystals and The Chantels, that featured female lead singers. This show pays tribute to the most popular female entertainers of that era. 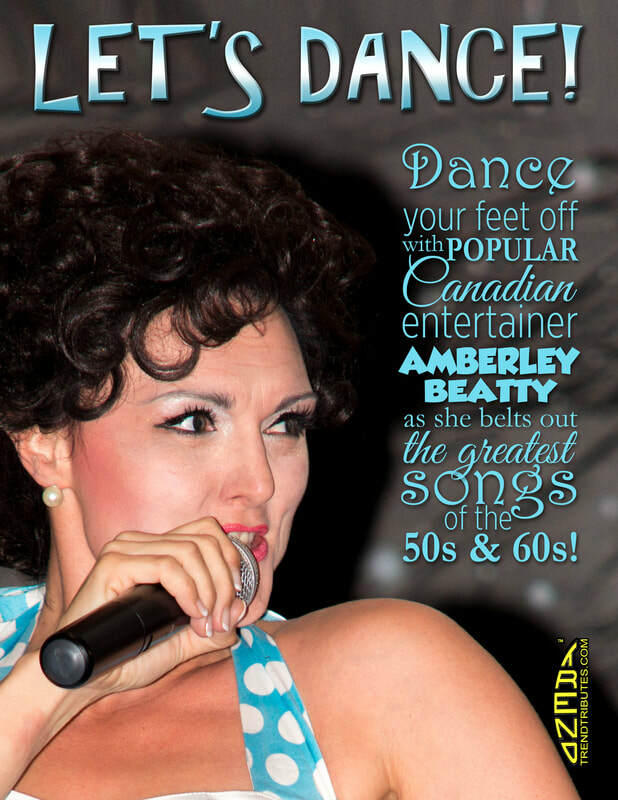 Gifted Canadian tribute artist Amberley Beatty is no stranger to 50s and 60s music. "When I was a kid, my mom had one of those K-Tel “30 Top Hits By The Original Artists” albums she played all the time. I grew to love those songs and before long I knew all the lyrics by heart. Whenever I hear them, it takes me back to those carefree days. That's why I enjoy singing them so much that I built a tribute show with them”. Amberley travels to perform her popular tribute shows throughout Canada, the US and Mexico. She enjoys having fun with the audience during her shows and afterwards at “meet and greet” sessions, autographing CDs and getting to know the people who inevitably become her fans. Songs featured in When Girls Ruled The Radio include “Lipstick On Your Collar”, “Who's Sorry Now”, “Sweet Nothin's”, “Rock'n'Roll Waltz”, “My Boyfriend's Back”, “It's My Party”, “Please Mr. Postman”, “To Know Him Is To Love Him”, “Maybe”, “Make The World Go Away”, “Be My Baby”, “Smoke Gets In Your Eyes”, “The Locomotion” and dozens more great radio hits.